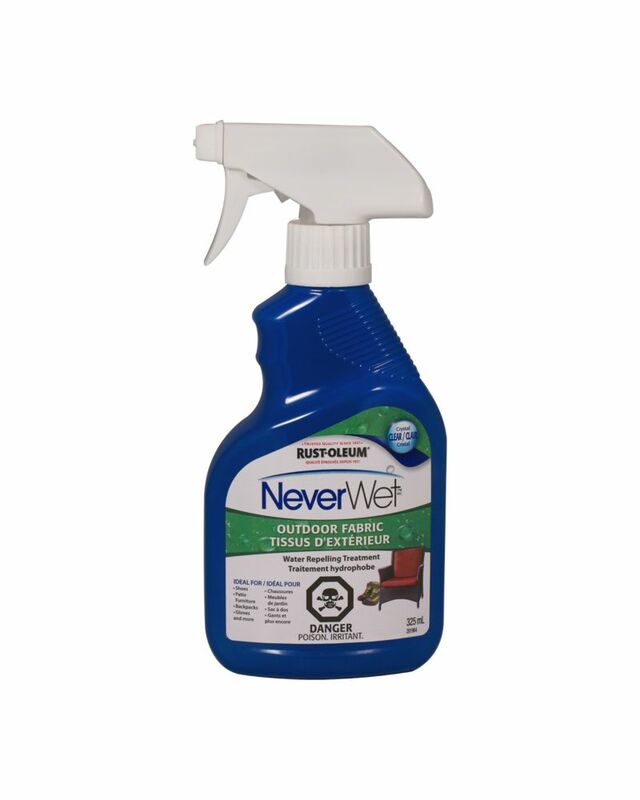 NeverWet Outdoor Fabric is rated 3.0 out of 5 by 4. Rated 5 out of 5 by rowdyone from Awsume product I hade a work 511 rain jacket that was more like a sponge than a rain jacket. bought this product and applied it then let dry 2 days .and now it is a rain jacket . no more sponge . Rated 1 out of 5 by Mike from Buyer beware I Bought the two part spray-can method. It was on special and recommend by nice lady in homedepot in Scarborough Ontario. Tried it on my coat OMG. It Distroyed it. Changed colour black to chalky grey. Left tacky chalky residue. Rated 1 out of 5 by John Doe from Does not work Bought the two part spray-can method first and realized that it dried with a milky haze. I returned that product for this one. Sprayed a whole bottle on clean dry Tough Duck (Canadian Carhartts) canvas overalls, let it dry for two days. After being out in the snow for 2 hours my overalls were soaked right through. Don't waste your money on this product. Rated 5 out of 5 by lemans24hrs from very good product I applied it to my "not rain proof " rain jacket, let it air out outdoors for a couple of days ( it smells strongly like vinigar at first ) and now the rain beads of like it should. I am very happy with the results and used it on shoes and other outdoor garments. I will be back for more !